December 20, 1928 – The dedication and formal opening of the new LaSalle Street bridge takes place as Mayor William Hale Thompson cuts a ribbon at the south end of the structure, and his car is the first to pass over the bridge. Before the hoopla a parade begins at Grant Park and moves down LaSalle Street, “witnessed by 1,000 officials, business men, and spectators who braved a chill wind.” [Chicago Daily Tribune, December 21, 1928] At a LaSalle Hotel luncheon the mayor outlines the history of the project and the benefits that the bridge will bring. 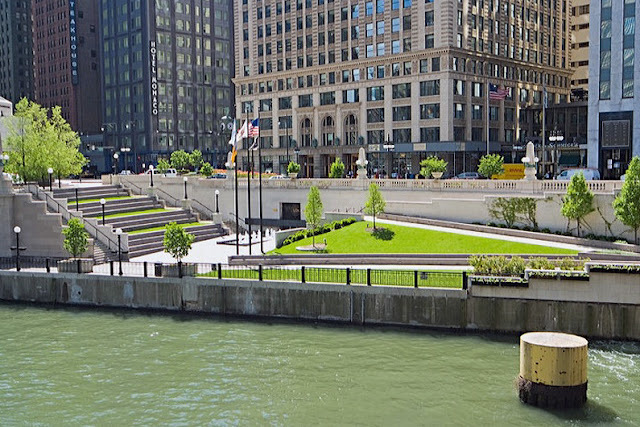 December 20, 1974 – Mayor Richard J. Daley announces plans for a new park on the south bank of the Chicago River between Wabash Avenue and Dearborn Street, a park that will be created with a donation from the IBM Corporation of $175,000. The corporation’s headquarters, completed in 1971, sits directly across the river, and with a matching grant from other businesses in the vicinity it is hoped that the park will be completed within the year. 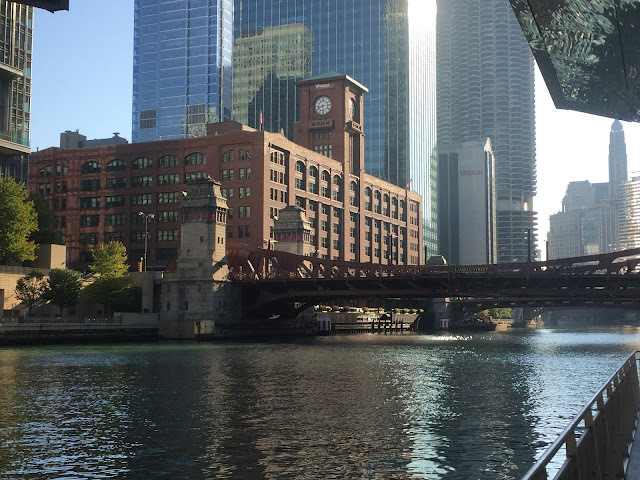 The IBM Vice-President in charge of western operations, J. E. Guth, says the park will measure about 25 feet by 600 feet with linden trees every 25 feet, a granite walkway, benches, and a sound barrier to muffle traffic noise from the lower level of Wacker Drive. It was a good move. Today the space has been beautifully transformed into Wabash Plaza, a memorial to Illinois veterans who served in Vietnam, 2900 of whom died in that war.